We all know the stereotype of accountants – quiet people that tend to keep to themselves and have their own sense of humor. As someone that has worked in the accounting field, I can that this stereotype is only half correct. I’ve seen it many of my fellow co-workers but I’ve also found some really fun people too. Of course, maybe fun to me is still odd to the general population! 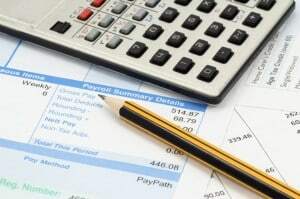 Tax Accountant: you can earn your CPA license and prepare tax returns for people each year. This is a great side business too. I have a friend that works in another accounting field but every February and March, he gives up his weekends to prepare tax returns for others. To him, the tax prep is easy work. He comes out of it with a few thousand bucks every year. The key for making this work as a side job is taking on the right number of clients. Too many and you’ll go crazy. Corporate Accountant: you can work for a large corporation handling part of their accounting duties. Usually big companies have their accountants specialize in certain aspects of the company. For example one person might just deal with payroll while another deals with another department. Investment Accountant: this is just tax accounting but for mutual funds. Yes, mutual funds need to file a tax return every year just like you and me. Auditor: you can audit other accountants work by working as an auditor. You usually need experience first as an accountant before becoming an auditor. The nice thing about these jobs too is the need. You could work for large corporation, small firms, even the government. There is always a need for accountants. This is seen when you search for accountant jobs online. No matter when you search for an accounting job, be it a time when the economy is strong or when it is in recession, accountants are always in need. The only problem you may run into is knowing which discipline of accounting you might want to work in. The good news is that when you search for accounting jobs, you only need to search for the term accountant. This is will bring up all of the results and allow you to read through job descriptions to see which one or ones fit your interests the best. I minored in accounting as an undergrad and I am so glad I did. I will admit the classes were the most glamorous in the world, but I know that if I ever need a job, I can fall back on my accounting courses I took in college along with my work history. This is a proof that finance and accounting professionals can find career opportunities in any business sector. Great source!